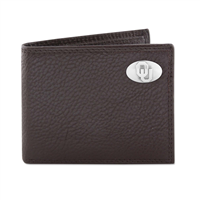 This fashionable bi-fold wallet is made of fine leather and is expertly finished making it a very stylish men's accessory. 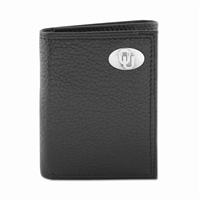 The wallet opens to a large, billfold pocket and numerous credit card slots and has a convenient flip-out windowed ID slot. 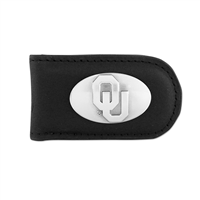 The superior quality of the wallet would make it a must have accessory but we have taken it a step further and added a metal Oklahoma Sooners team logo on the front of the wallet. 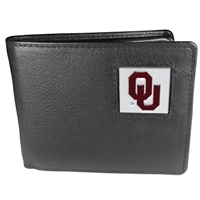 This would make the perfect gift for any sports fan and it is a wallet he will be proud to have for years to come. - Officially licensed College product Licensee: Siskiyou Buckle Genuine leather men's fashion accessory.